Squid Technology, colour management experts and suppliers of top quality inkjet ink and paper are offering 10% off all orders for EPUK.org readers. 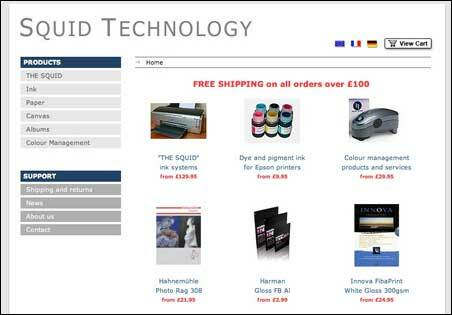 Squid Technology is a supplier of inkjet related products and services of the highest quality. These range from their unique and patented ink system called THE SQUID, to award-winning fine art papers from Hahnemühle and Innova and industry-leading colour management devices from X-Rite.